In partnership with Gwinnett County Public Schools, the Governor’s School Leadership Academy’s (GSLA) Aspiring Principal Cohort program identifies, prepares, and supports school leaders as they pursue the goal of becoming a transformational principal. Aspiring principals join a rich, cohort-based experience that provides context and develops the skills they need to tackle the challenges a principal would face in the first year of practice. Designed for educators who are ready to take on new leadership challenges, aspiring principals complete simulation activities and assignments to practice data-driven decision-making, develop their cultural competence as leaders, and sharpen their instructional leadership skills. As a member of the cohort, participants develop their leadership skills while expanding their network of support. 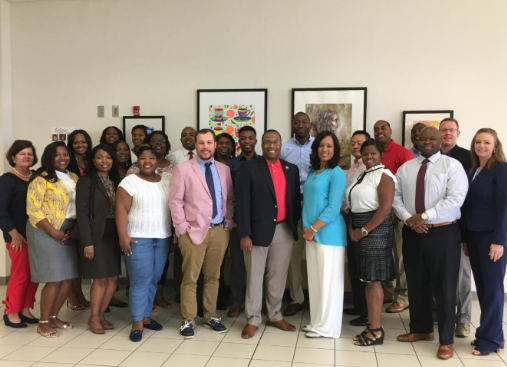 The goal of the GSLA Aspiring Principal Cohort is to increase the success of first-year principals in Georgia and impact the students and communities they serve.